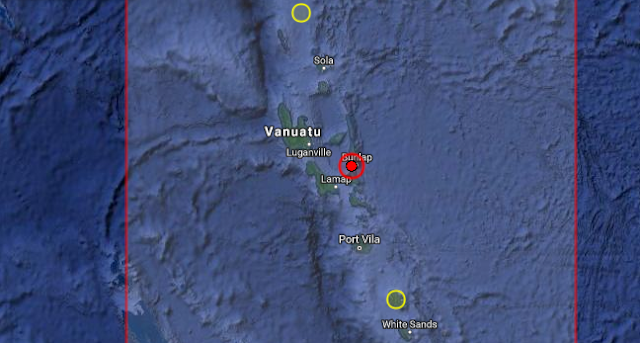 This powerful 6.5R earthquake shook Vanuatu 83km East of Norsup. We warned this was coming as we expected this on 20th August, so it arrived a little late. But the coordinates predicted were good enough as we expected the stress to be at Vanuatu [17S, 168E], off by one degree in one direction.